Nicalis has confirmed they’ll be bringing the cult classic bullet shooter Ikaruga to Nintendo Switch this May. The game’s original developer Treasure previously teased a Switch port back in April, and now the tease has been fulfilled. For Switch owners, the game can be played with the system turned upwards in tabletop mode (TATE Mode), and can be played in Arcade and Prototype modes for added challenge, along with chapter and difficulty selects among other perks. 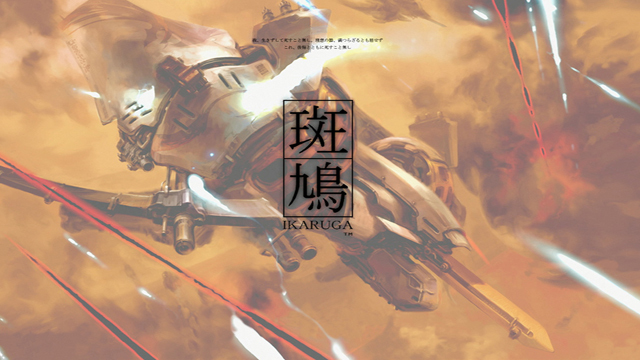 Ikaruga is a vertical-scrolling shooter that revolves around switching your titular ship between black and white modes. Your ship can absorb bullets of the corresponding color and take out enemies of the opposite color. It’s a fast-paced, razzle dazzle game that requires quick wits and even faster reflexes. It dates back to the arcade in 2001 and has since been ported to Dreamcast, GameCube, Xbox 360, and Steam. Treasure’s exhilarating shooter hits the system on May 29th for $14.99 USD.